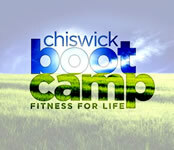 Because that's what Chiswick Boot Camp is all about! Welcome, and thanks for visiting our website. Local gyms offer shiny machines and flashy facilities...We offer results. Other outdoor training groups offer high priced, short term programmes, forcing you to train at the same time during the week. We offer low priced on-going monthly memberships, (20 outdoor fitness workouts each week for you to choose from) with the flexibility to train when you want, and a money back results guarantee on every month you train with us. The secret of our success is simple. It’s not fads. It’s not gimmicks. It’s not the latest piece of equipment. Or the latest way of working out. It’s our members. They inspire us to be our best, and that means never stopping improving the ways we train them and the support tools and services we offer them on their journey to becoming the person they know they want to be.